Former Gulf Air staff claim they are being denied benefits they were promised on retirement. Campaigners claim as many as 400 people have been affected, including an ex-senior manager who served the company for more than 25 years, said a report in the Gulf Daily News (GDN), our sister publication. Mohamed Al Shaher retired from Gulf Air on December 31, 2001 and was presented a letter informing him that due to his "long and loyal service" he qualified for the "Travel Facilities at Termination of Service and Retirement Scheme". This entitled Al Shaher, his wife and unmarried children aged under 23 one free round-trip airfare ticket per calendar year and an unlimited number of discounted tickets, according to a letter seen by the GDN. It said in the event of Al Shaher's wife being widowed, she would continue to enjoy the same benefits unless she remarried. But Al Shaher, 73, claims the airline has reneged on its promises and from January 2012 began changing the number of discounted tickets he was entitled to. He also claims his lifetime entitlement was changed and the tickets were now only available for 50 per cent of his years served. Under the new rules Al Shaher will cease to be entitled to any tickets on December 31 this year. "I'm entitled to tickets for myself and my family members, the eligible ones, for life - it's a contractual obligation," he argued. "The present management of Gulf Air has mistreated its retired personnel." 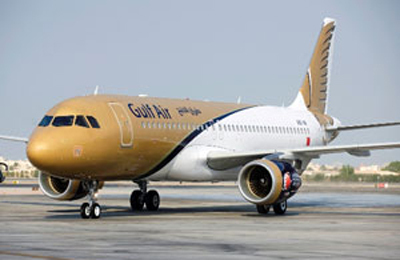 Al Shaher showed the GDN a court verdict issued against Gulf Air on September 8, which states the airline must honour the terms of the original agreement. "The court anticipates your (Gulf Air's) compliance according to the company regulations applicable on the retirement date of (Al Shaher)," the verdict reads. However, Gulf Air claimed it had not denied Al Shaher tickets and the case revolved around the issue of an "ongoing request for continued or modified benefits". "Gulf Air's staff travel benefits are part of the airline's employment incentives," it said in a statement. "Al Shaher's case as a former Gulf Air employee sees him currently entitled to, and receiving, agreed upon staff travel benefits following his qualification for the airline's staff travel policy at Termination of Service and Retirement. "At this time, Al Shaher's request for continued or modified benefits is ongoing and we cannot comment on the existing legal proceedings beyond clarifying that Gulf Air always honours court orders. "It is committed to recognising all members of the Gulf Air team - both former and present - for their valuable contribution to Bahrain's national carrier." It said Bahrain's national carrier reserved the right to amend staff travel policy at any time, at the company's own discretion. "Any modifications take into consideration a variety of factors relating to the airline," it added. A campaigner for the rights of Gulf Air retirees, Ahmed Al Kooheji, told the GDN as many as 400 former airline employees had been affected by the decision to amend privileges afforded to ex-staff. It was apparently made at the start of 2012, before the start of a massive restructuring that began in January last year. "They (Gulf Air) wanted to stop everything," said Al Kooheji. "They wanted to only keep the one free ticket a year plan."